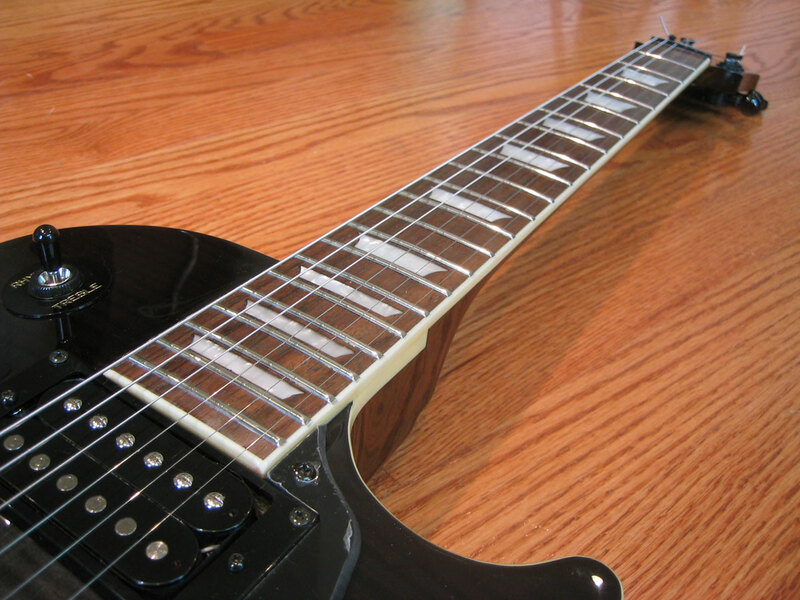 Over the last several years, it has come to my attention that most Roland Ready guitars are Fender Strats. 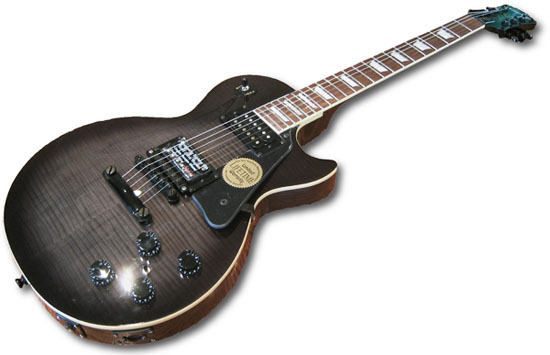 While Gibson has produced several technologically advanced guitars, such as their Robot guitar, Dark Fire and Digital Les Paul, none of these guitars directly include a 13-pin Roland synth output. 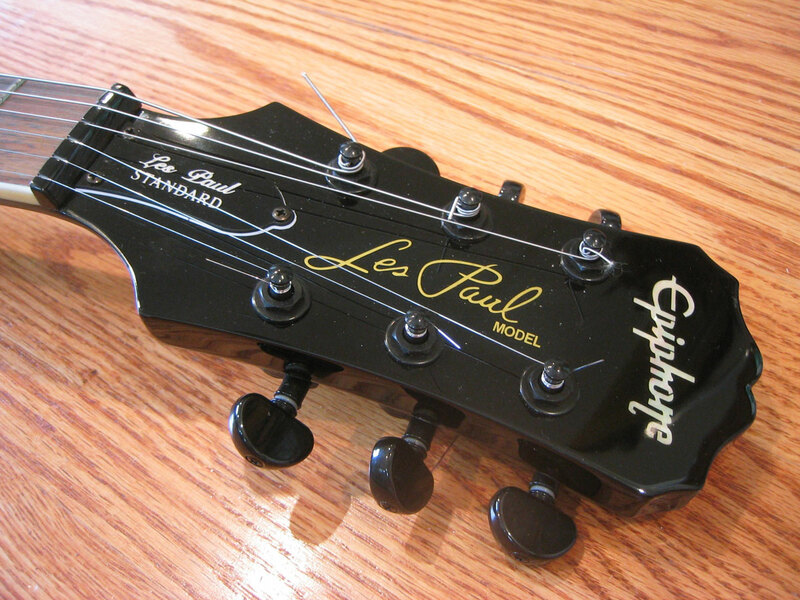 This seemed very strange to me, especially considering that the most popular vintage synth controllers, the Roland G-303 and Roland G-808 are clearly in the Les Paul club, with their carved tops, maple and mahogany bodies, and 24 3/4” scale. 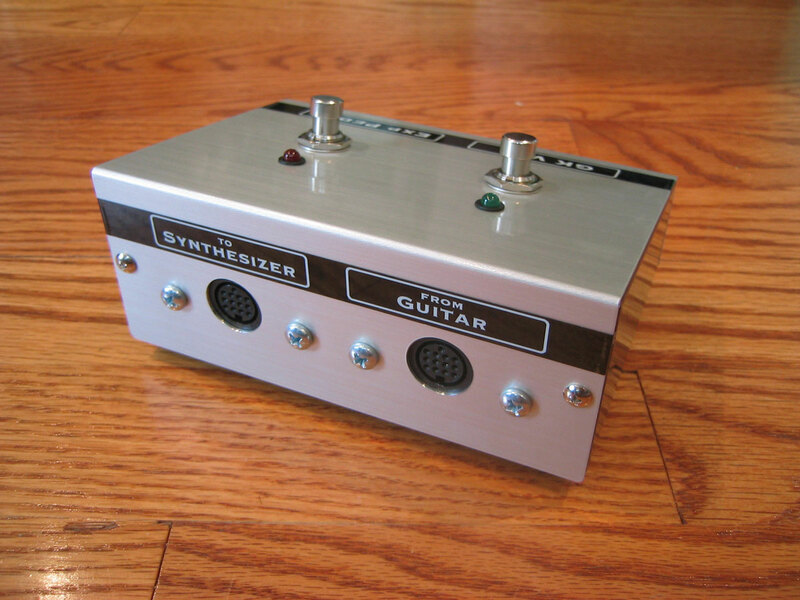 I already had a vintage Roland LPK-1 (Les Paul synth retrofit kit) and a modern, Roland GK-2 internal synth kit, and I wanted to create an upgraded, 21st century guitar synthesizer controller that still had the features most players demand in a guitar. 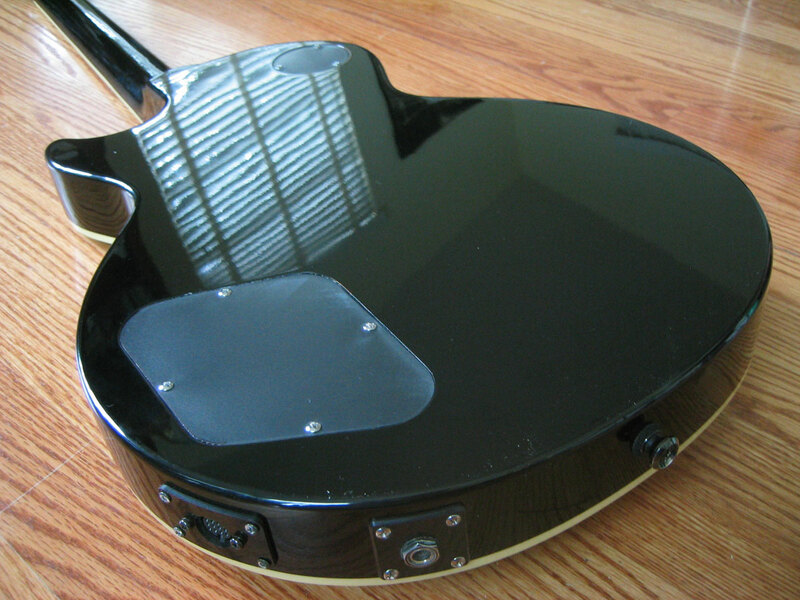 Since this was an opportunity to experiment, I decided to wire an internal Roland EV-5 pedal inside the guitar, for more expressive possibilities. 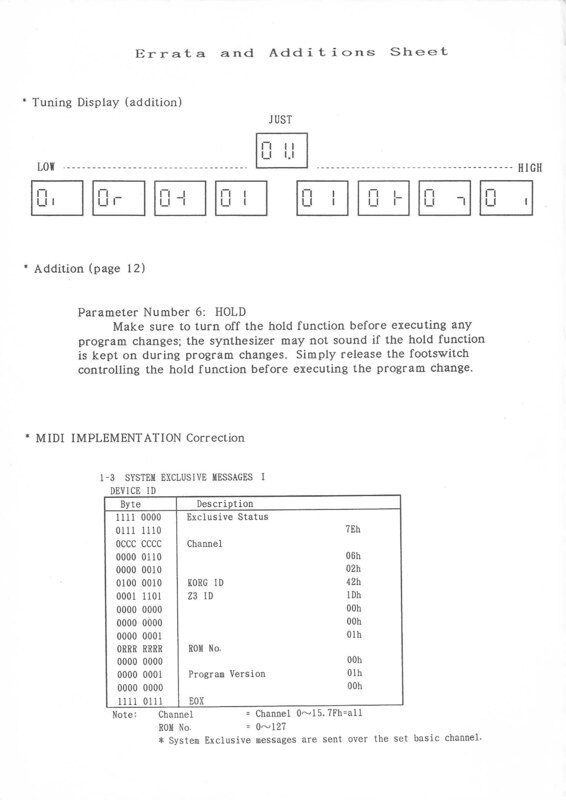 So the original 2 volume, and 2 tone, controls were reconfigured as a master volume and tone, GK Synth Volume, and Roland EV-5. 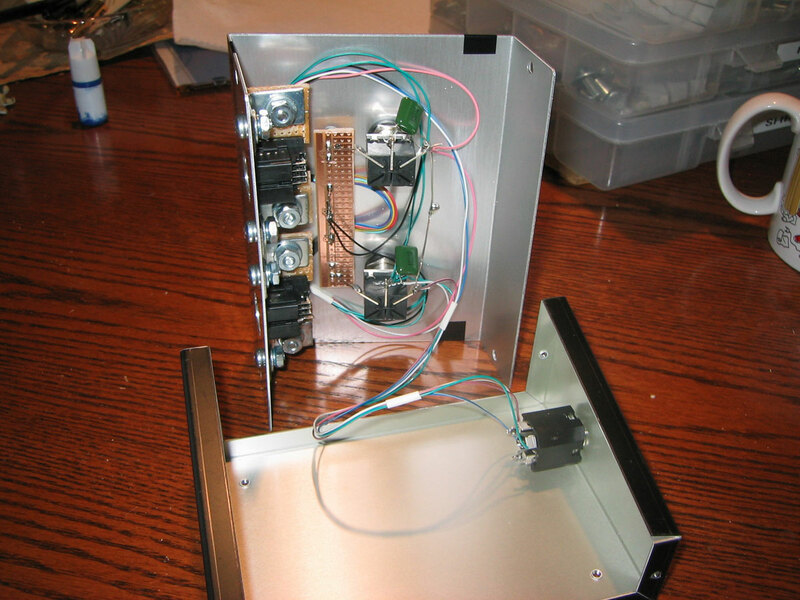 A breakout box was also built, with 13-pin input and output connections, foot switches to turn the GK Synth Volume and EV-5 outputs on and off, and a TRS jack that served as the connection for the EV-5 control in the guitar. 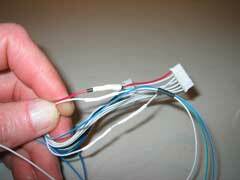 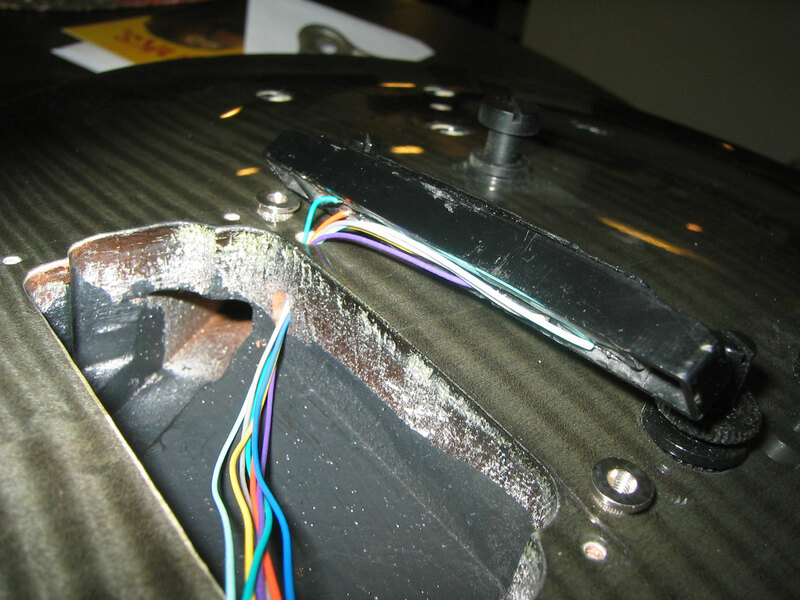 I had recently repaired a "narrow" 10 mm vintage Roland guitar synthesizer pickup. 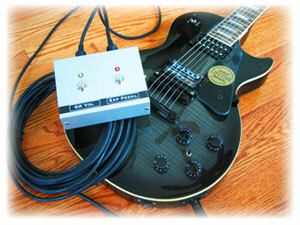 This pickup, with an impedance around 80 ohms, is very close in output to the modern Roland GK designs. 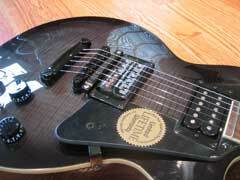 In fact, the original Roland GK-2 pickup was the GK-1 pickup, attached to 13-pin electronics. 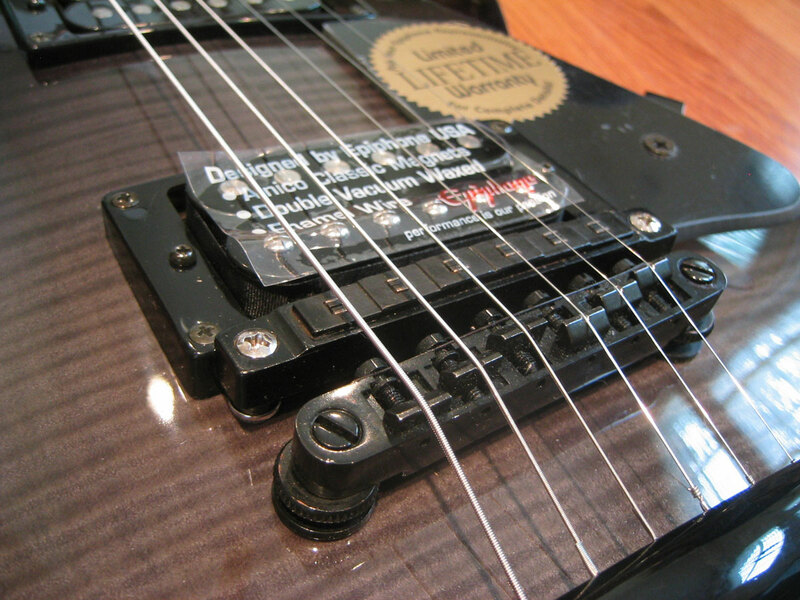 The vintage pickups make for a neater, more functional installation, since they do not have the pesky "arm" that the moden GK pickups do. As an added bonus, the LPK-1 kit provided the nice mounting posts and hardware for the pickup. 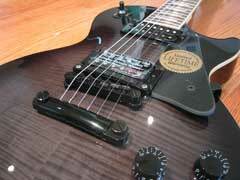 This makes for a more stable mounting of the pickup, as well as a better appearance. 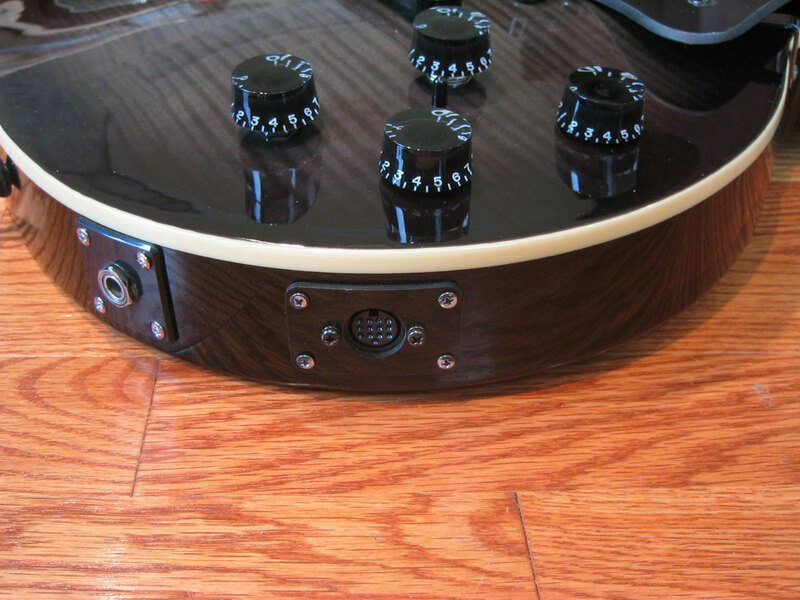 Incidentally, it is this kind of detail that makes the vintage Roland guitars such great synth controllers. 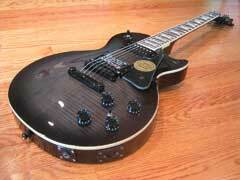 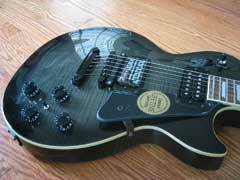 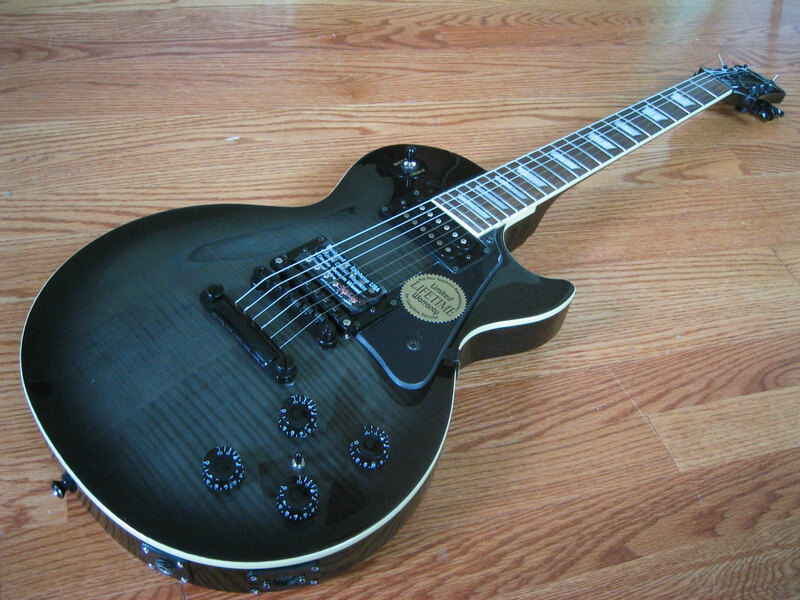 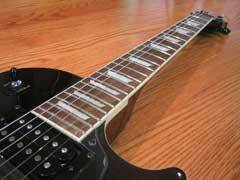 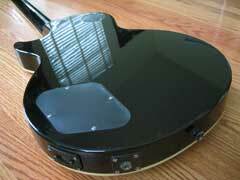 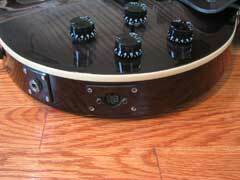 And since this is a Les Paul type guitar, there was enough room to mount the pickup without requiring routing. 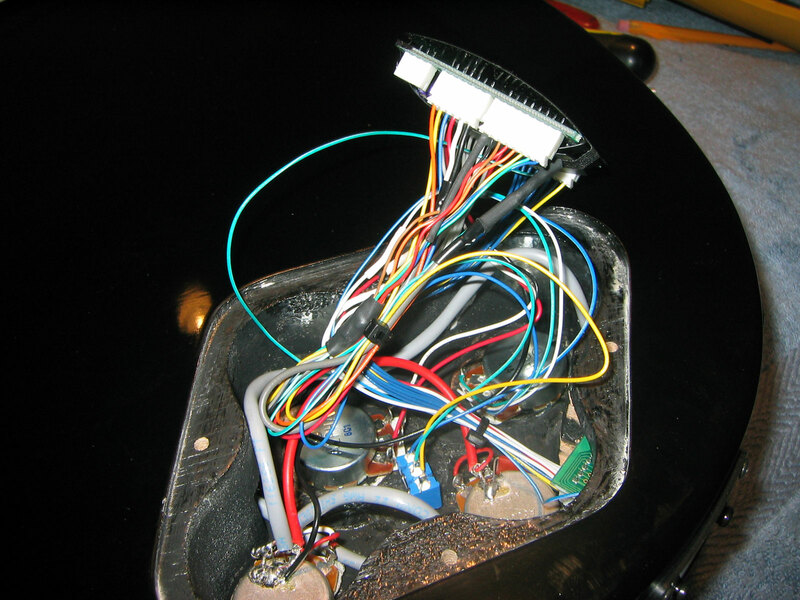 The six output wires that I attached to the vintage pickup during the repair were then soldered to the appropriate connector for the Roland GK-2 electronics board. The EV-5 circuit in the guitar is a simple 10K linear taper potentiometer. The key to the whole design is the GK Expression breakout box. 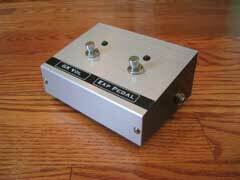 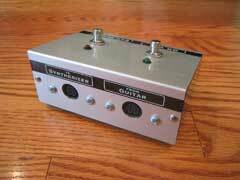 This is a compact stomp box with a 13-pin input (from guitar) and a 13-pin output (to synthesizer). 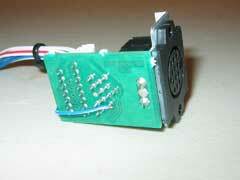 On the side is a TRS jack that outputs a Roland EV-5 control signal. 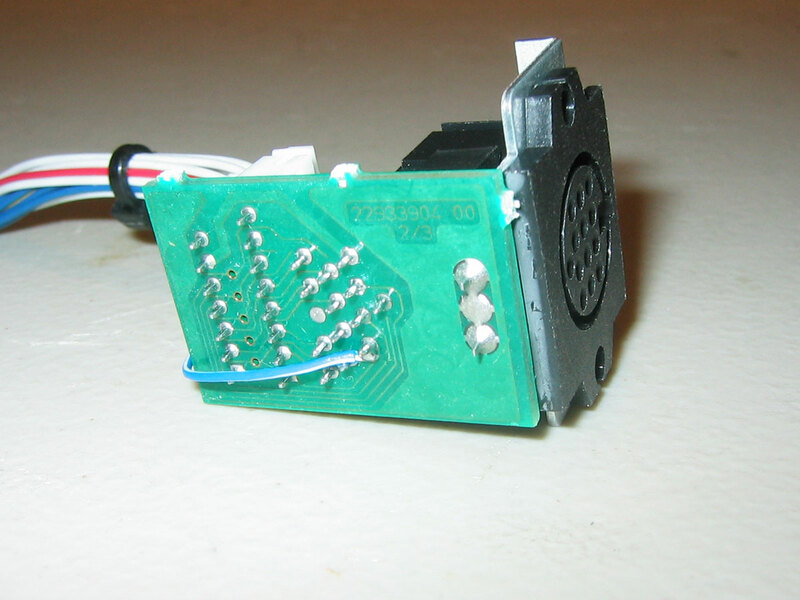 A TRS cable connects from the GK Expression TRS jack to any device that has a Roland EV-5 expression pedal input, such as the VG-88 or VG-99. On the front of the GK Expression are two foot switches: GK Vol and Exp Pedal, with green and red status LEDs. 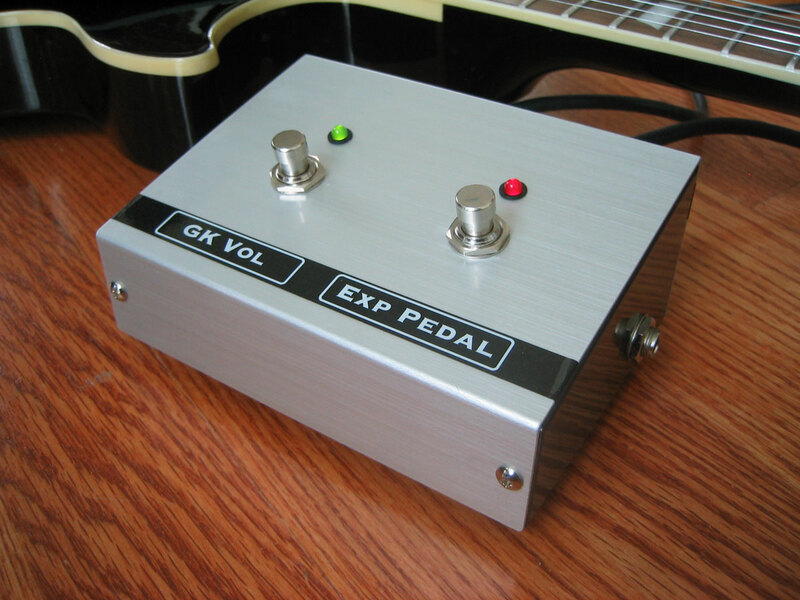 Using these foot switches, you can turn the Roland GK Guitar Synth Volume on and off, and also turn the Expression Pedal/EV-5 signal on and off. 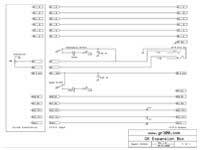 To make this circuit possible, two additional control lines are needed for the EV-5/10K potentiometer. 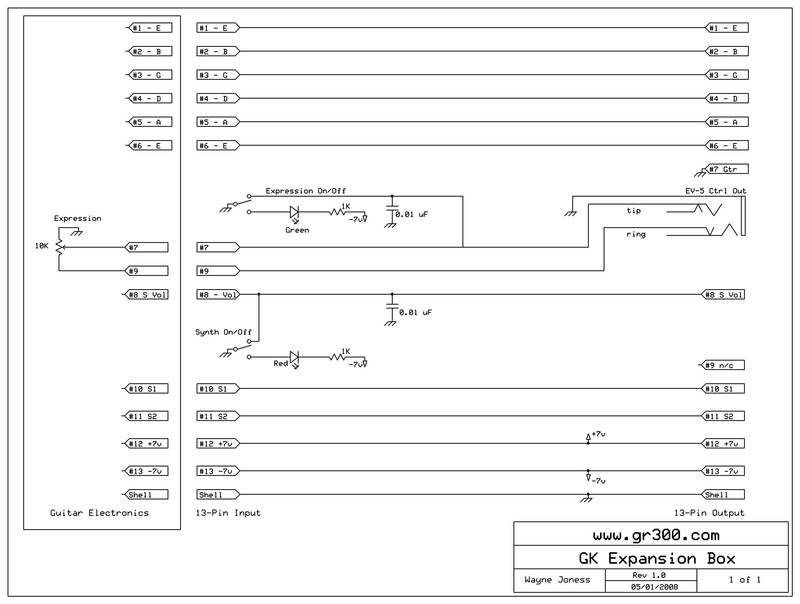 The first choice was pin #9, not used in the GK-2 circuit board. 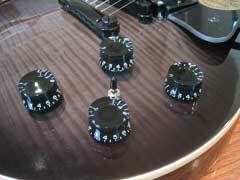 I also decided to use pin #7, the guitar signal. 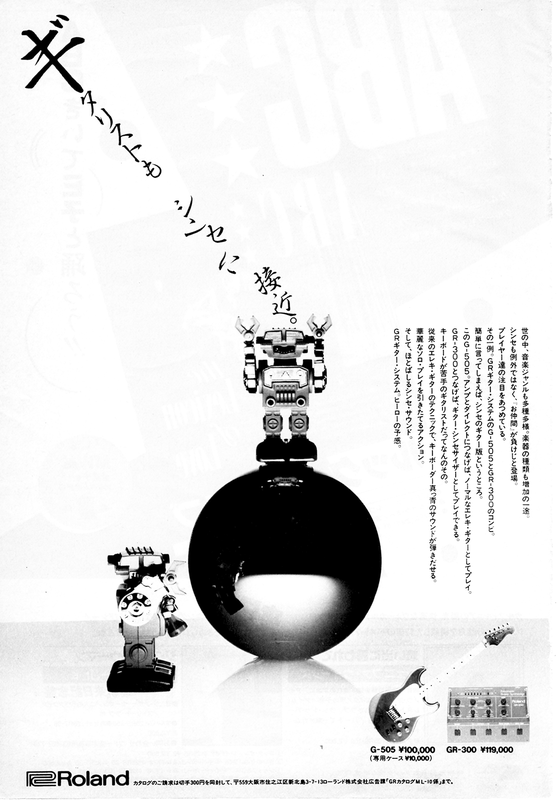 In this design, the GK-2 does not send the conventional guitar pickup sound down the 13-pin cable to the guitar synth. 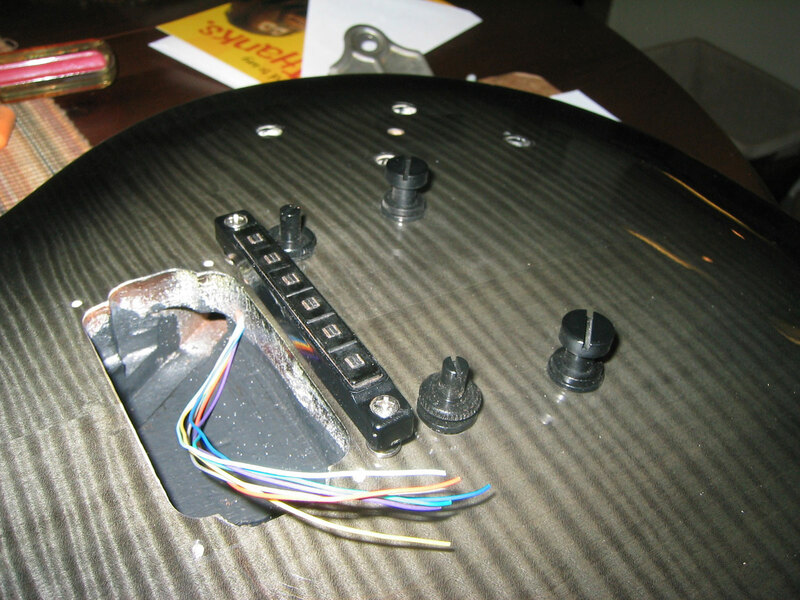 Why did I decide to wire the GK Expression control inside the guitar? 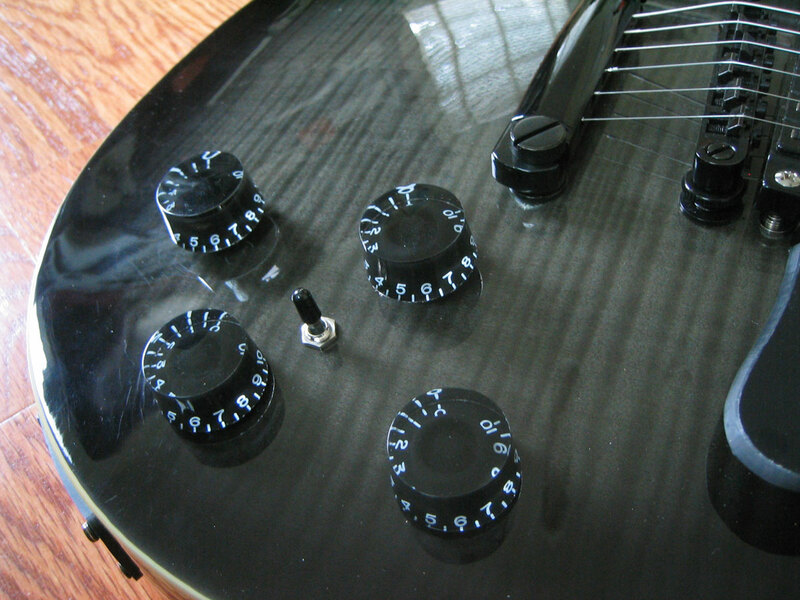 Most vintage guitar synth players remark to me that they miss the extra controls found on a Roland G-303, G-808, or the amazing Ibanez IMG2010. It was a sacrifice to loose the guitar signal, but there is a perfectly usable 1/4” jack on the guitar to access the outputs from the Epiphone Alnico pcikups, and if you have really dialed in your guitar tone with your amp/rig, this is the output you want to use anyway. 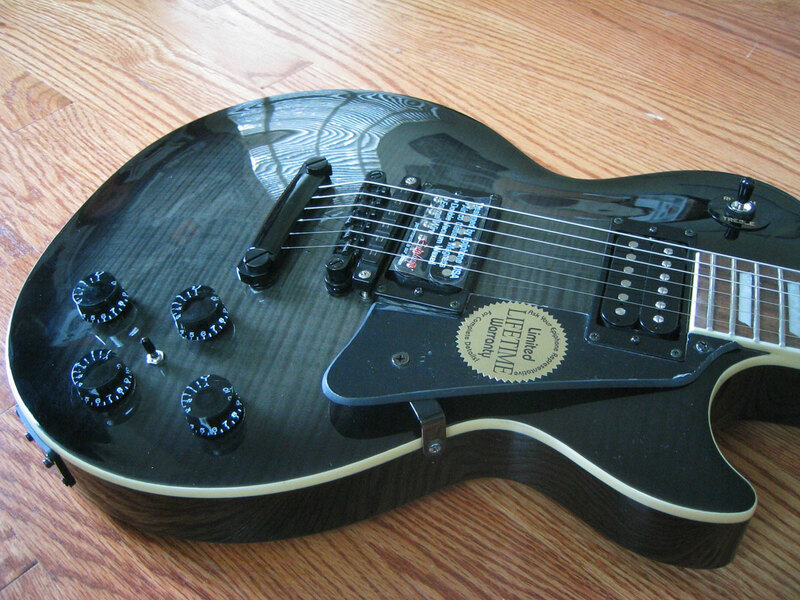 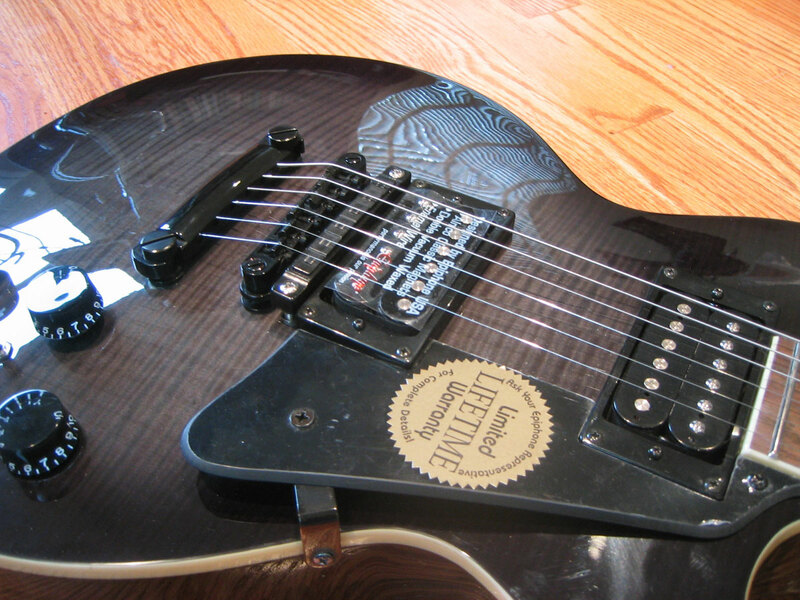 Obviously, this guitar does not have the standard Gtr/Gtr+Synth/Synth selector switch. 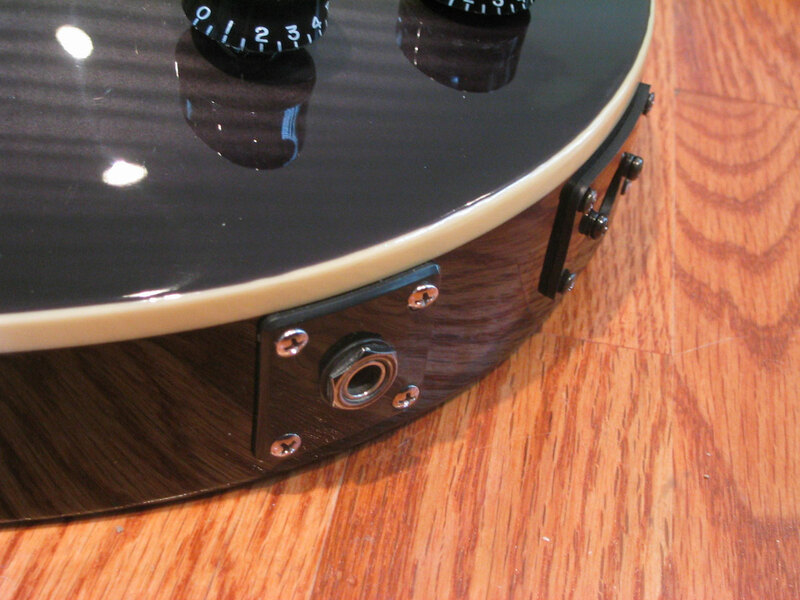 There is a small toggle switch mounted between the guitar control knobs, and this is a GK S1/S2 switch. 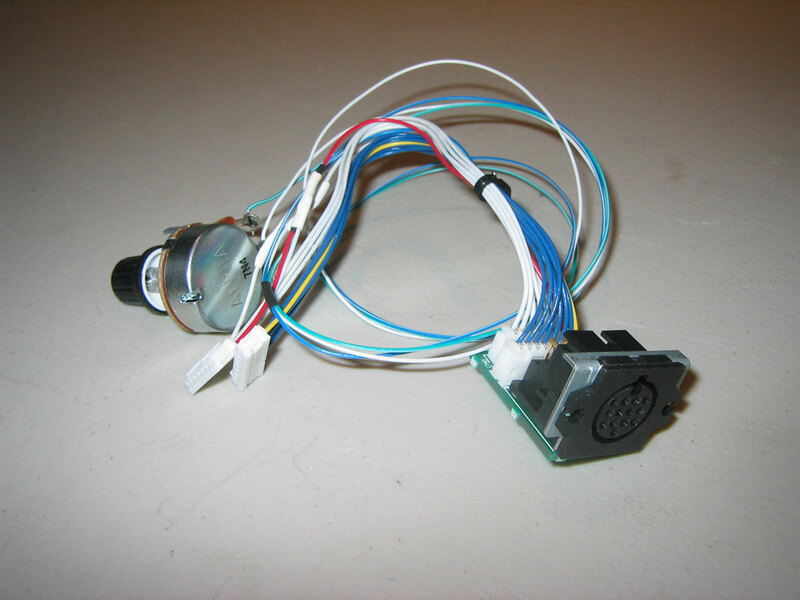 Roland GK-2 GK-2A and GK-3 Wiring for 13-Pin Connectors. 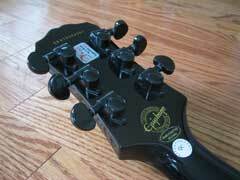 Roland GK-2 GK-2A and GK-3 Pickup History.